Black violet color. Aromas and flavors of vanilla, black peppercorn, raspberry coulis, red bell pepper, and star anise with a coarse, crisp, dry-yet-fruity medium-to-full body and a peppery, compelling, medium-length finish with notes of ash and dr. pepper with chalky, coarse tannins and heavy oak flavor. A tight and spicy wine that should blossom with cellaring. 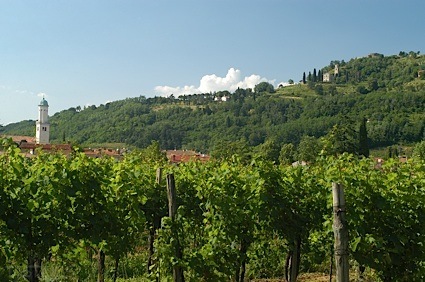 Bottom Line: A tight and spicy wine that should blossom with cellaring. 89 • Bogle 2014 Chardonnay, California 13.5% (USA) $10.00. 86 • Bogle 2014 Sauvignon Blanc, California 13.5% (USA) $10.00. 88 • Bogle 2014 Pinot Noir, California 13.5% (USA) $12.00. 91 • Bogle 2014 Petite Sirah, California 13.5% (USA) $12.00. 88 • Bogle 2014 Essential Red, California 13.5% (USA) $12.00. 88 • Bogle 2016 Chardonnay, California 13.5% (USA) $9.00. 84 • Bogle 2015 Merlot, California 13.5% (USA) $9.00. 85 • Bogle 2016 Sauvignon Blanc, California 13.5% (USA) $9.00. 90 • Bogle 2015 Cabernet Sauvignon, California 13.5% (USA) $11.00. 90 • Bogle 2015 Petite Sirah, California 13.5% (USA) $11.00. 90 • Bogle 2014 Phantom, California 14.5% (USA) $18.00. 89 • Bogle 2015 Old Vine, Zinfandel, California 14.5% (USA) $11.00. 88 • Bogle 2015 Old Vine Essential Red Blend, California 13.5% (USA) $11.00. 90 • Bogle 2014 Phantom Red, California 14.5% (USA) $18.00. 89 • Bogle 2015 Merlot, California 13.5% (USA) $.00. 86 • Bogle 2015 Cabernet Sauvignon, California 13.5% (USA) $11.00. 89 • Bogle 2016 Sauvignon Blanc, California 13.5% (USA) $9.00. 87 • Bogle 2016 Chardonnay, California 13.5% (USA) $9.00. 86 • Bogle 2015 Petite Sirah, California 13.5% (USA) $11.00. 88 • Bogle 2015 Old Vine, Zinfandel, California 14.5% (USA) $11.00. 90 • Bogle 2015 Old Vine Essential Red, California 13.5% (USA) $11.00. 87 • Bogle 2015 Pinot Noir, California 13.5% (USA) $11.00. 85 • Bogle 2014 Phantom Red Blend, California 14.5% (USA) $18.00. 88 • Bogle 2016 Phantom, Chardonnay, Clarksburg 14.5% (USA) $18.00. 88 • Bogle 2017 Chardonnay, California 13.5% (USA) $10.00. 86 • Bogle 2016 Merlot, California 14% (USA) $10.00. 86 • Bogle 2017 Sauvignon Blanc, California 13.5% (USA) $10.00. 87 • Bogle 2015 Old Vine Essential Red Blend, California 13.5% (USA) $12.00. 90 • Bogle 2016 Petite Sirah, California 14% (USA) $12.00. 84 • Bogle 2015 Pinot Noir, California 13.5% (USA) $12.00. 85 • Bogle 2016 Cabernet Sauvignon, California 13.5% (USA) $12.00. 85 • Bogle 2016 Old Vine, Zinfandel, California 14.5% (USA) $12.00. 88 • Bogle 2016 Phantom, Chardonnay, Clarksburg 14.5% (USA) $20.00. 91 • Bogle 2014 Phantom Red Blend, California 14.5% (USA) $20.00. 85 • Bogle 2016 Merlot, California 14% (USA) $10.00. 88 • Bogle 2016 Cabernet Sauvignon, California 13.5% (USA) $12.00. 93 • Bogle 2016 50th Anniversary Reserve, Petite Sirah, Clarksburg 15% (USA) $42.00. 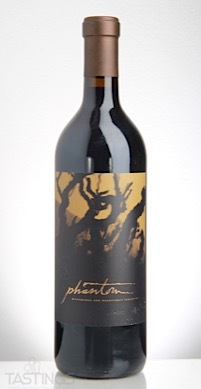 91 • Phantom 2013 Dark Red Blend, California 14.5% (USA) $18.00. Bogle 2014 Phantom Red Blend, California rating was calculated by tastings.com to be 85 points out of 100 on 1/16/2018. Please note that MSRP may have changed since the date of our review.